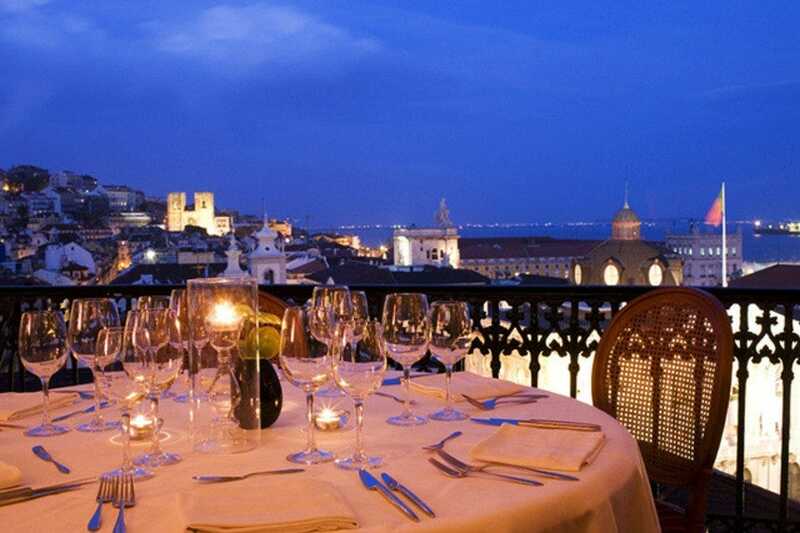 Romantic dining in Lisbon indulges all the senses. Sharing a special occasion with a loved one is always a treat and best savored over wonderful food in an intimate restaurant. Fortunately, the Portuguese capital is celebrated for its variety of snug, discreet eateries. Housed within the confines of a 15th-century palace is Leopold, a minimalist and contemporary styled venue that offers just 22 places. If you appreciate a fine castle view with dinner, head to Lumni. 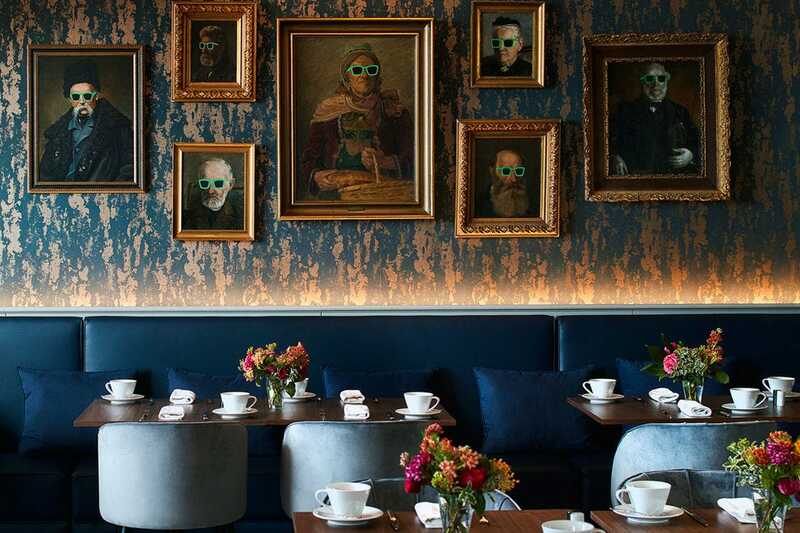 This is one of the city’s newest fine-dining venues. 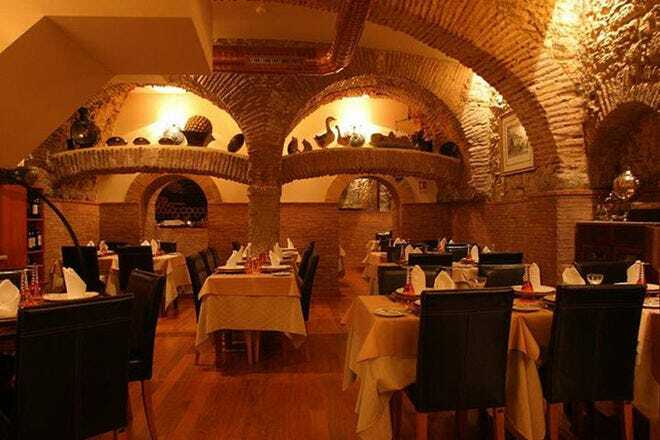 As Salgadeiras in Chiado is noted for its typical décor, where diners can enjoy fine regional cuisine under the arches of a refurbished bakery. Eating at A Travessa means appreciating one of the city’s historic landmarks, housed as it is in a former convent building. Opulent décor greets diners at swanky Valle Flôr, housed in a grand hotel fashioned from a beautiful palace located west of the city centre. This is a place to dress up for! Serving dinner with a a view is the swish Panorama Restaurant & Bar, perched at the top of Lisbon’s tallest hotel. The nighttime panorama is quite breathtaking! Listening to the haunting strains of fado is a Lisbon highlight and certainly one of the most romantic things you can do in the city. Senhor Vinho in the Lapa district is highly regarded for its music shows, performed between courses in hushed surroundings. Hidden away from the crowds is Estórias na Casa da Comida, which exudes an intimate homestyle atmosphere and features a lovely terrace. For romantic views of the river, head for Faz Figura. The balcony tables are particularly intimate. And for romance personified with more fantastic city panoramas, book ahead for a terrace table at enchanting Tágide. 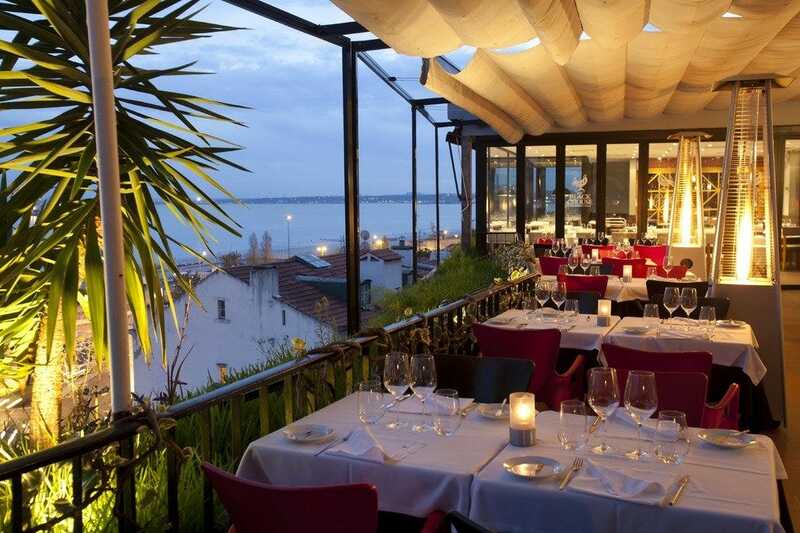 Recommended by Michelin, one of the city's finest gourmet hotspots also affords quite possibly the best view of downtown Lisbon from any restaurant terrace. Needless to say, this appealing combination of taste and aesthetics places Tágide in the top tier of romantic dining venues, a reputation it has enjoyed for over thirty years. Housed in an elegantly styled 18th-century building, the restaurant seats up to 100 guests and the most intimate tables are those set out on the verandah (tables by the window have a limited availability and need confirmation on the restaurant's behalf). 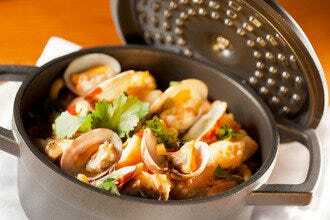 The menu, conceived by chef Nuno Diniz, acknowledges traditional Portuguese cuisine and regional flavours to produce dishes like sautéed cuttlefish with cucumber and clam rice. The Tágide Tapas & Wine bar, located on the ground floor, offers a more informal dining experience, where guests can enjoy an imaginative range of tasty tapas and appetisers. If the mood takes you, pause here for aperitifs before heading upstairs. Book ahead for any chance of a table on the open verandah where the romantic views spill over the Tagus Estuary and out towards the far south bank. The windows are left open in summer, but even during the chillier winter months the mood is light and airy thanks to a fresh and contemporary interior design. 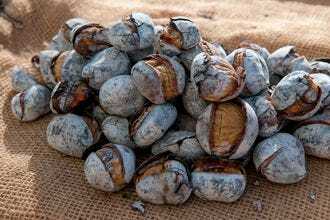 Highly regarded for its creative Portuguese-Mediterranean gastronomy, where specialities like cataplana dishes and picanha (steak grilled over an open fire) attract local patronage, stylish Faz Figura is also celebrated for its delicious choice of desserts (try the fig and carob pies) and arm-long wine lists. Reservations essential. For over 36 years this restaurant has maintained a reputation as one of the most prestigious in the city, indeed Portugal. 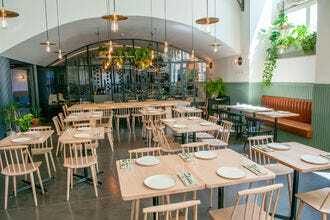 Tucked away in a quiet residential street in one of Lisbon's leafier neighbourhoods, its low-key profile belies the many gastronomy awards bestowed upon the kitchen, and its patronage by an appreciative local and international clientele. Chef João Pereira consistently raises the culinary bar with his inventive take on traditional Portuguese cuisine. He'll very often leave the kitchen and greet diners during the course of the evening â" a wonderfully personal gesture. Sommelier Ricardo Morais brings to the fore his considerable expertise in pairing the wines. The setting is romantic and quite beautiful, the recently renovated interior exuding an upscale homestyle ambiance. 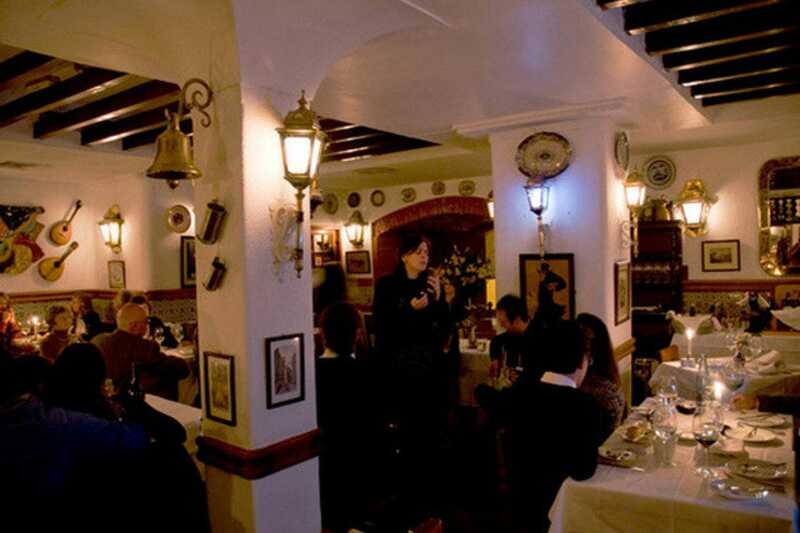 While fado music expresses a somewhat melancholy yearning, it's performed in some of the romantically themed restaurants in Lisbon. A particularly esteemed venue is Senhor Vinho, a fado house located in the city's refined and elegant Lapa district. Typically, dinner is served between sets, where the fadista sings, accompanied by two guitars. Lights are dimmed and very often candlelight is the only illumination, thus enhancing the romantic ambiance. Senhor Vinho hosts a venerated roll call of artists including Maria de Fe and Joana Amendoeira. 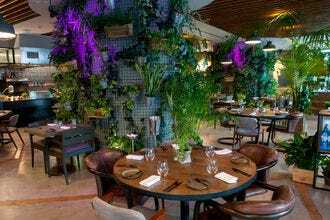 The magical atmosphere perfectly complements a menu that pays tribute to traditional Portuguese cooking, cuisine that's matched with some of the country's finest wines. Crowning the five-star Sheraton Lisboa Hotel & Spa, the Panorama Restaurant commands glorious views of the Portuguese capital and River Tagus. 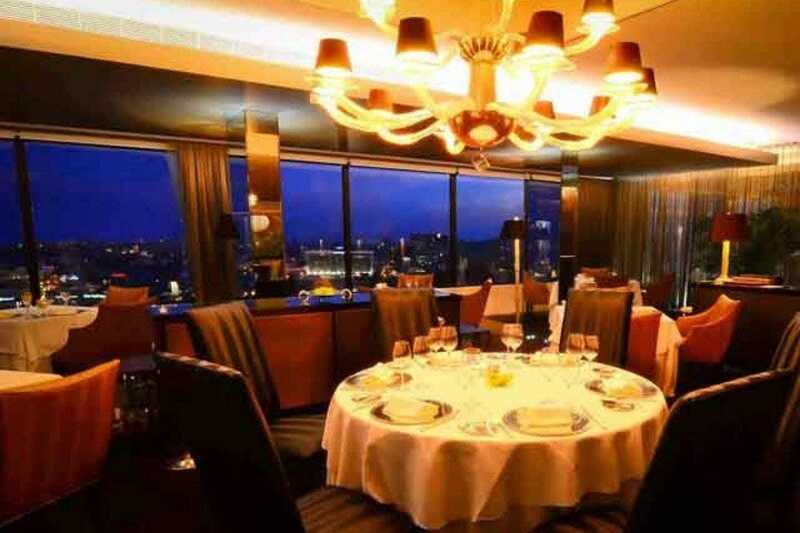 This is romantic, top-floor dining at its cosmopolitan best, a gourmet retreat set in a fashionable urban eyrie. An imaginative ? la carte menu explores the tastes and textures of Portugal and southern Europe, effortlessly melding Atlantic influences with those of the Mediterranean. Beautifully crafted and presented, the gastronomy acknowledges Portuguese culinary tradition but in a colourful and contemporary manner. A note-worthy interior design feature is the remarkable glass-fronted wine cellar. Here, some of the most celebrated wines in the country lie waiting to be chosen, along with champagnes and selected international labels. The restaurant is separate from the bar, where gin and sushi work particularly well together. Both venues exude a refined, understated glamour, but it's after dark, when Lisbon sparkles below, that Panorama reaches the true height of romance. Lisbon's 19th-century Palácio Valle Flôr was once the home of a nobleman. Today, as the Pestana Palace, it's a top-notch hotel and features one of the most sumptuously decorated dining halls in the city. 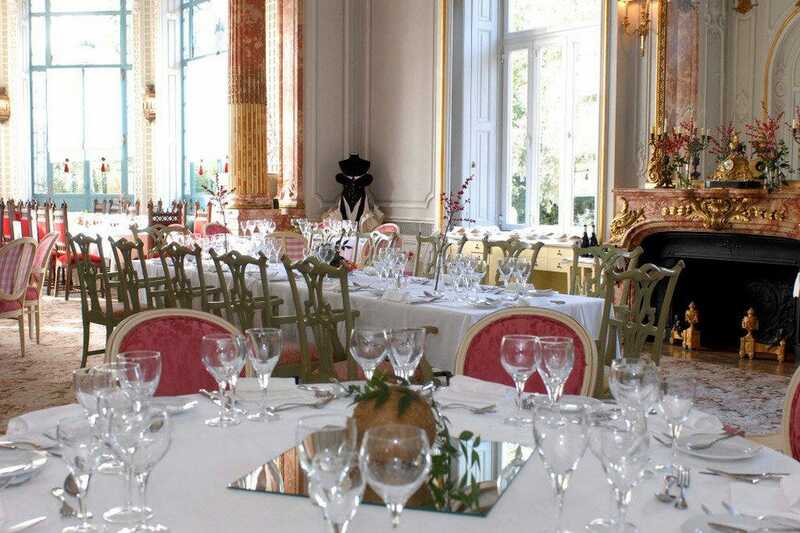 Eating at the Valle Flôr restaurant is to appreciate the contemporary flourishes afforded by the kitchen to traditional Portuguese cuisine while admiring the magnificent interior of the palace's former Grand Ballroom embellished with gilded wood and marble sculpture. It's particularly romantic at night, when flickering candlelight dances over tables set under sparkling chandeliers. During the summer months a lighter menu is offered at Casa do Lagoa, an Oriental-styled pavilion overlooking the garden swimming pool. A former 17th-century convent provides the backdrop for one of the most romantic dining venues in Lisbon. 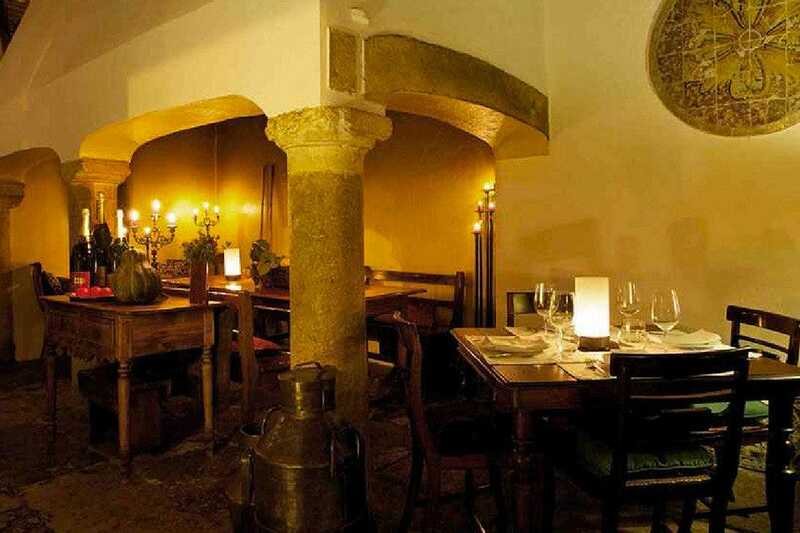 With outside tables set within the cloisters and those inside arranged in and around a refectory and throughout several cozy alcoves, A Travessa can claim with considerable justification to be one of the most charming and historic restaurants in the Portuguese capital. Ably run by Belgium national Viviane Durieu and her Portuguese partner Antonio Moita, A Travessa is noted for its inventive fusion of southern and northern European cuisine, with their chef drawing on the culinary traditions of both regions to produce dishes like the signature raie au beurre noir â" steamed ray in a black butter sauce, balsamic vinegar and capers. 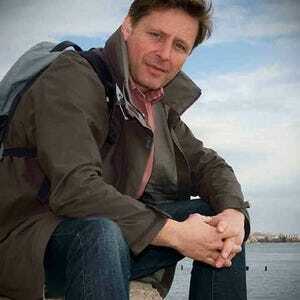 Wines exclusively represent Portugal and include labels from smaller independent producers. A Travessa is a restaurant for all seasons: during the summer the cloisters exude a wonderfully al fresco atmosphere. In the chillier winter months dining inside by the fireplace is equally alluring. This snug little eatery used to be a bakery and diners can still admire the interior's original slated walls and arched ceiling, architectural features that ably enhance its traditional character. They've even preserved the lovely old oven! Appetizer choices such as soft goat's cheese with honeydew carpaccio or the succulent pan-fried prawns smothered with melt-in-your mouth garlic butter raise the curtain over a menu of creative fish and seafood dishes. A variety of meat plates, including the delicious wild asparagus "migas" with juicy pork tenderloin, also tempt the palate. The restaurant is known for its generous wine list, and the reds and whites stocked in the cellar are expertly paired to match the cusine. Round the meal off with dessert �– the chocolate volcano, if you've room. 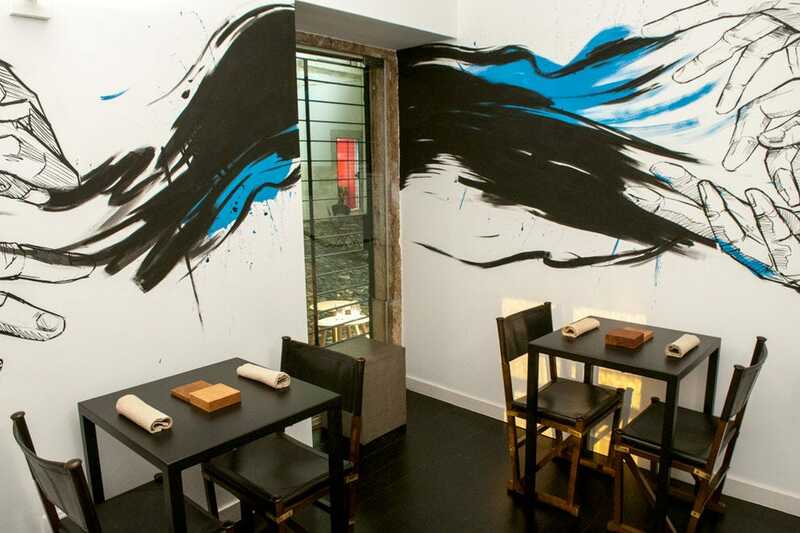 Less often means more, and this minimalist gem delivers a memorable dining experience with deceptive ease. Located within the walls of the historic 15th-century Palácio Belmonte, an upscale accommodation option sited in Lisbon's quaint Castelo quarter, Leopold offers diners a simply presented yet impressively created seasonal tasting menu that while acknowledging Portugal's culinary heritage, is quite singular in its inception. Using locally sourced ingredients, co-owner and chef Tiago Feio has produced a series of dishes that underline his savvy technique and mastery of interpretation. A modest wine list featuring rare and select Portuguese labels, plus one or two French and Italian examples, further enhances an extraordinary gastronomic journey. 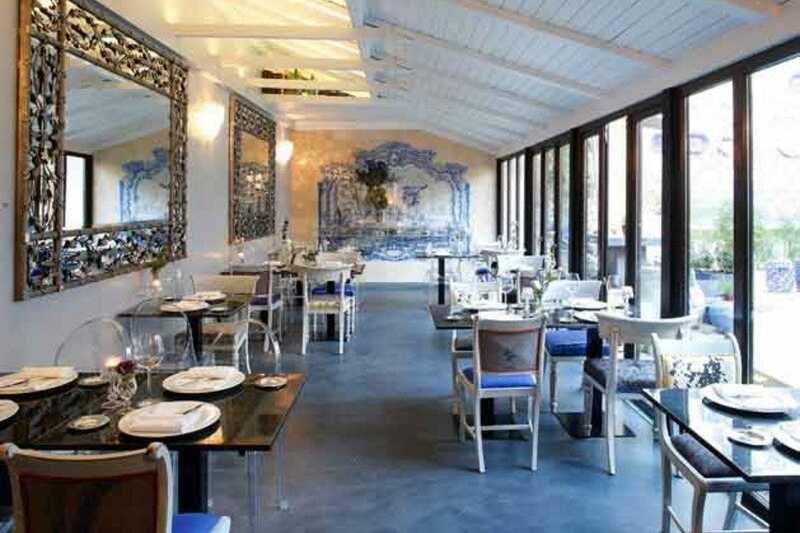 Tiago's partner, Ana Cachaco, who is Leopold's co-owner, provides an effortless and engaging table service. Together the pair make perfect hosts.